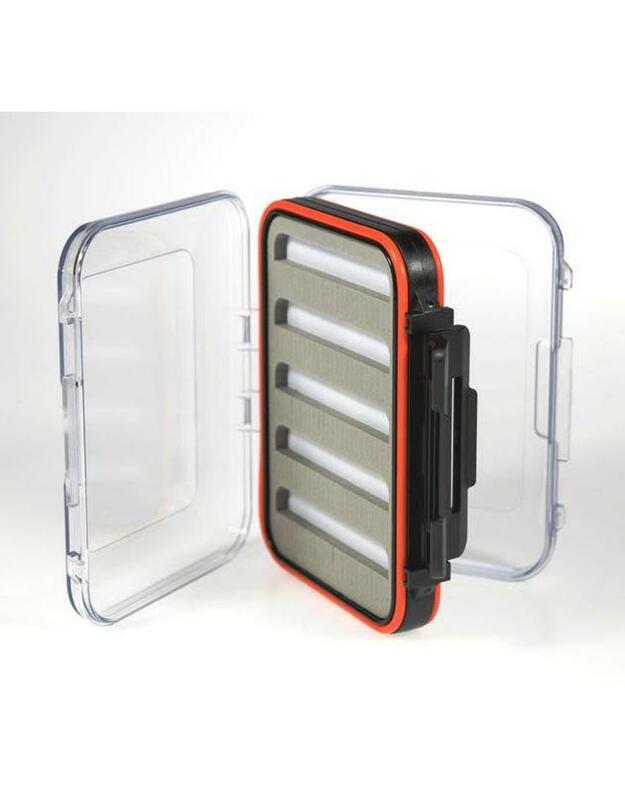 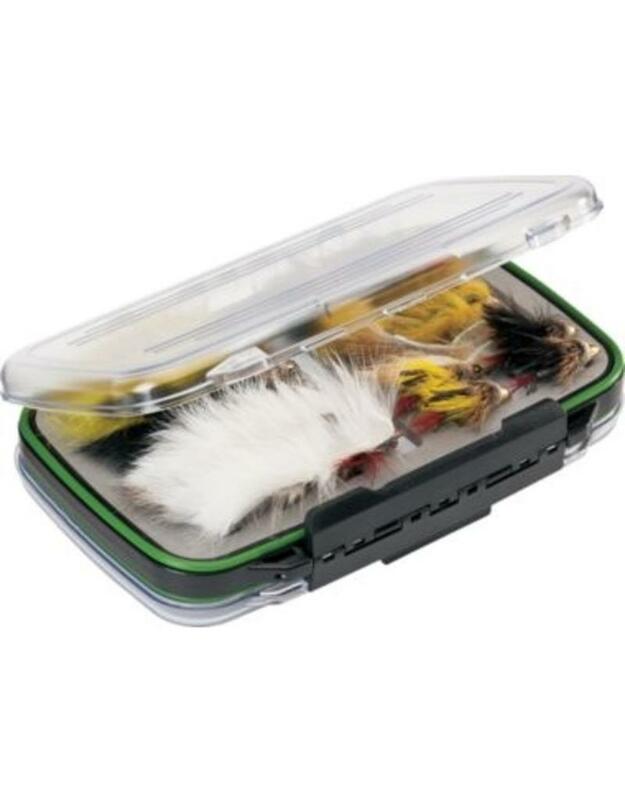 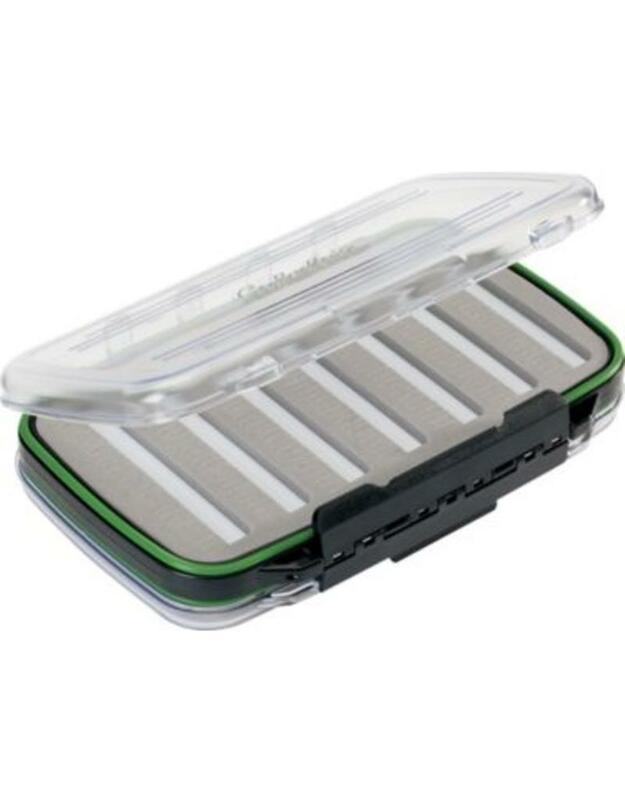 The River Bay Outfitters New Phase Double-Sided Waterproof Fly Box proudly displays the River Bay Outfitters logo on the clear lid. 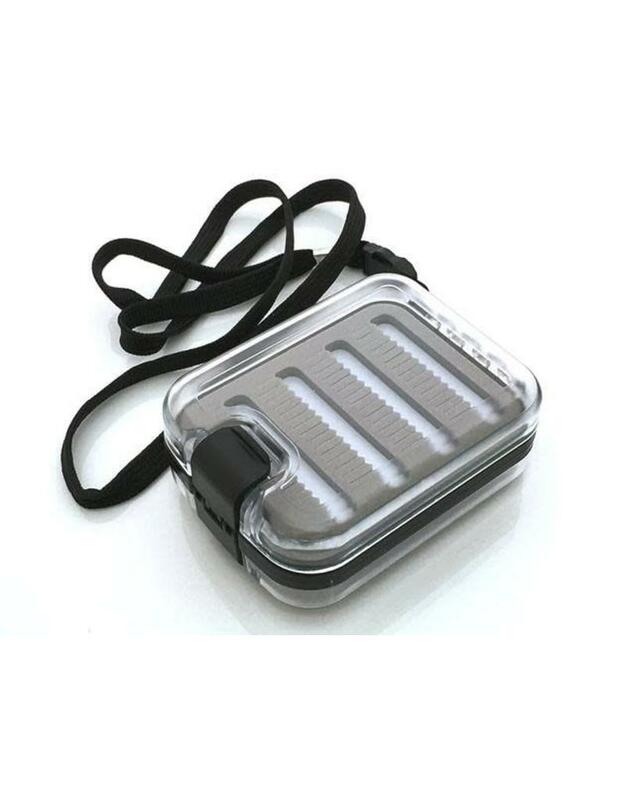 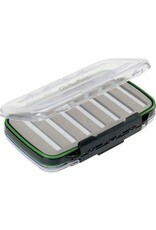 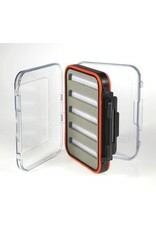 This box features a durable ABS construction with stainless steel hinge pins. 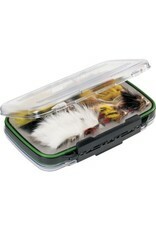 A rubber water tight gasket seal keeps your flies from getting wet.